Perrin, TX (April 14, 2019) On the morning of April 14th, a head-on crash occurred on U.S. Highway 281 at around 7:20 a.m. The reports indicate that a 67-year-old named Donna Andreatta was driving a 2013 Ford Expedition and tried to drive around another vehicle in a no passing zone when she struck a 2008 Ford Fusion. The accident happened south of the Palo Pinto County Line and Jack County line. When the paramedics got to the scene, they found Andreatta and the other driver of the Ford, 19-year-old Brady Adair, injured and immediately took them both to a hospital in Fort Worth for treatment. Officials are currently investigating the accident to finalize the facts of the incident. We hope Andreatta and Adair both heal completely from their injuries. In 2016, approximately 639 people lost their lives in head-on crashes in Texas. Fortunately, the number decreased the following year. Most head-on collisions occur when drivers are unable to discern proper direction due to lack of traffic signs. There are other instances when these accidents happen due to drunk driving. No matter the cause, these accidents are the most dangerous and often result in serious injuries or death. 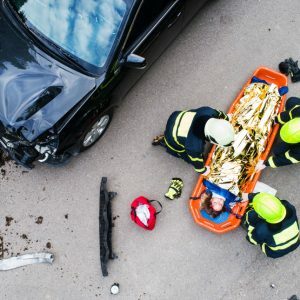 At Benton Law Firm, we work diligently to help our clients win their personal injury or wrongful death lawsuits after being involved in head-on collisions caused by other drivers. We know how much these incidents affect our clients’ lives, which is why we do all we can to ensure they at least receive indemnity for damages and losses. If you or a loved one were involved in a head-on collision, call us today at 214-219-4878 and consult with one of our experienced Texas car accident attorneys.